Michael Cohen, President Trump’s longtime fixer, former personal attorney and confidant, pleaded guilty on Thursday to lying to Congress about a prospective Trump real estate project in Moscow in a new deal with special counsel Robert Mueller. He appeared in federal court in Manhattan Thursday, where he entered a guilty plea for false statements to Congress in a letter last year about his contacts with Russians during the presidential campaign. In court, Cohen admitted that he made the false statements “to be consistent with Individual 1’s political messaging and to be loyal to Individual 1,” Cohen told the judge. Individual 1 was believed to be Trump, based on the description in court documents. The crime carries up to a 5-year prison sentence and potential $200,000 fine, but sentencing guidelines in the plea deal ranged from zero to six months. He was released without bail. Michael Cohen walks out of federal court, Nov. 29, 2018, in N.Y. This is the second deal Cohen has reached with federal prosecutors and represents a potential blow to Trump, who has been fixated on discounting Mueller and his inquiries into his campaign’s potential collusion with Russia. Since the first plea on separate campaign finance related charges, Cohen, who once said he’d “take a bullet” for Trump, has provided dozens of hours of interviews to the special counsel’s team, sources said. Outside court, Cohen’s lawyer said his client will “continue to cooperate” with the investigation. Court documents detail a trio of falsehoods related to a multimillion-dollar Russian real estate deal Cohen pursued on behalf of the Trump Organization while Trump was running for president. In a public statement released in September 2017 - in advance of his closed sessions on Capitol Hill - Cohen said that he “had nothing to do with any Russian involvement in our electoral process,” and said he “never saw anything – not a hint of anything – that demonstrated [President Trump’s] involvement in Russian interference in our election or any form of Russian collusion. Michael Cohen, personal attorney for President Donald Trump, on Capitol Hill in Washington, Sept. 19, 2017. Cohen admitted, as part of the deal, that the project was discussed as late as June 2016, including communication about obtaining Russian government approval for the project. The documents also say not only was he considering traveling to Russia but he also asked Individual 1 about potentially traveling there as well. Cohen said in court that while he took steps to travel to Russia, he did not ultimately make the trip. The documents also state that Cohen communicated with the office of the Russian president in January 2016, specifically the personal assistant to Dmitri Peskov, Vladimir Putin’s press secretary. 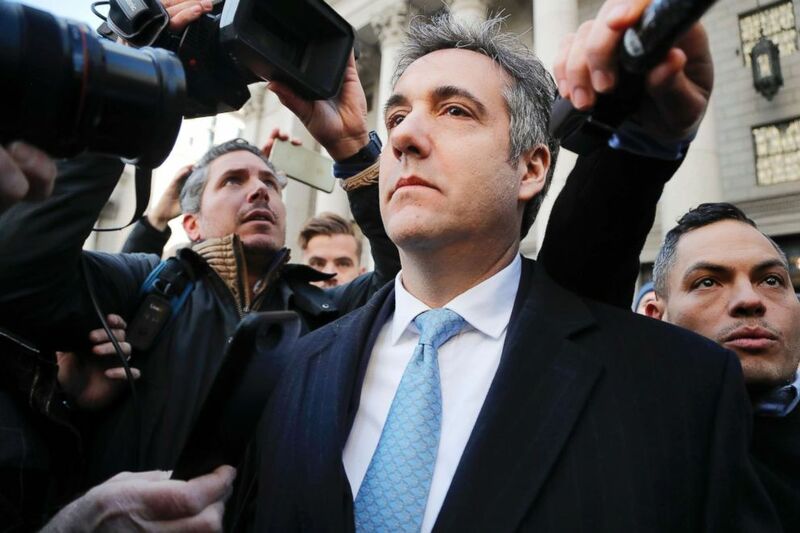 As Trump’s personal attorney and problem solver for more than a decade, Cohen’s portfolio at the Trump Organization covered personal and business matters both routine and highly sensitive. 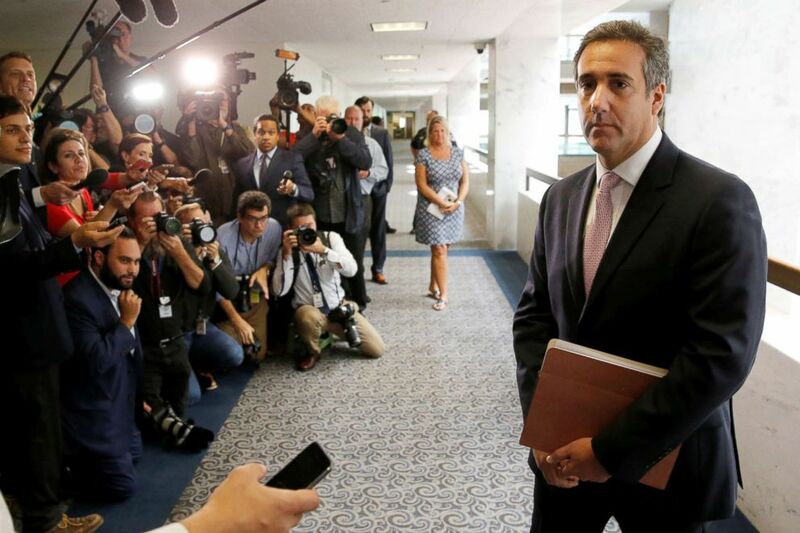 Once among the president’s most loyal and zealous defenders in business and politics, Cohen has since promised to “put family and country first” by cooperating with prosecutors, becoming perhaps the most pivotal public witness against his former boss. 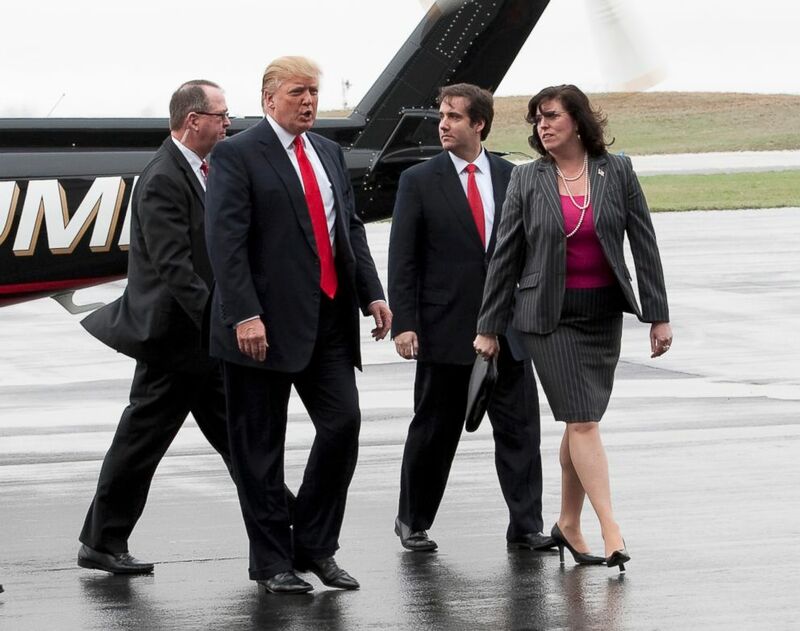 Donald Trump arrives in Portsmouth, New Hampshire, alongside his legal team, April 27, 2011. Since then, Cohen has spent more than 70 hours in interviews with Mueller's team. The questioning has focused on contacts with Russians by Trump associates during the campaign, Trump’s business ties to Russia, obstruction of justice and talk of possible pardons, sources familiar with the discussions have told ABC News. Cohen has been determined to tell Mueller’s team, other federal prosecutors and the New York State Attorney General’s Office all that he knows -- and his testimony poses a potentially serious threat to the president, sources told ABC News. They also say Cohen’s voluntary cooperation has been crucial to the special counsel’s case. “The potential significance of Cohen’s cooperation is immense,” said Kendall Coffey, a former United States Attorney in Florida. "It cannot be determined if Cohen’s cooperation will lead to other criminal allegations. But for most high-powered business people with complex business interests, having one’s personal attorney become a star witness for the prosecution is the worst possible legal nightmare." The news of the agreement comes during a tumultuous week in the Mueller investigation. On Monday, the special counsel’s plea deal with Trump’s former campaign manager Paul Manafort officially collapsed, with prosecutors alleging that Manafort breached the pact by lying to federal agents and government lawyers during interviews. Manafort’s attorneys dispute the allegations that he lied. And the president has been ratcheting up his criticisms of the investigation and Mueller’s team this week, accusing the prosecutors in a Wednesday tweet of “viciously telling witnesses to lie about facts” and likening the inquiry to the dark period in American history when Republican U.S. Senator Joseph McCarthy sought to expose alleged communist sympathizers in the 1950s. Though much remains unknown about the scope of the investigation, Mueller is reportedly at work on preparing his final report and Washington is bracing for the potential of another round of indictments now that the midterm elections have passed. Michael Cohen, former personal lawyer to President Donald Trump, leaves federal court in New York, Aug. 21, 2018. Cohen’s agreement with Mueller also comes just two weeks before he is due to be sentenced in the separate case in federal court in New York, which burst into public view in April when federal agents raided his law office and residences. 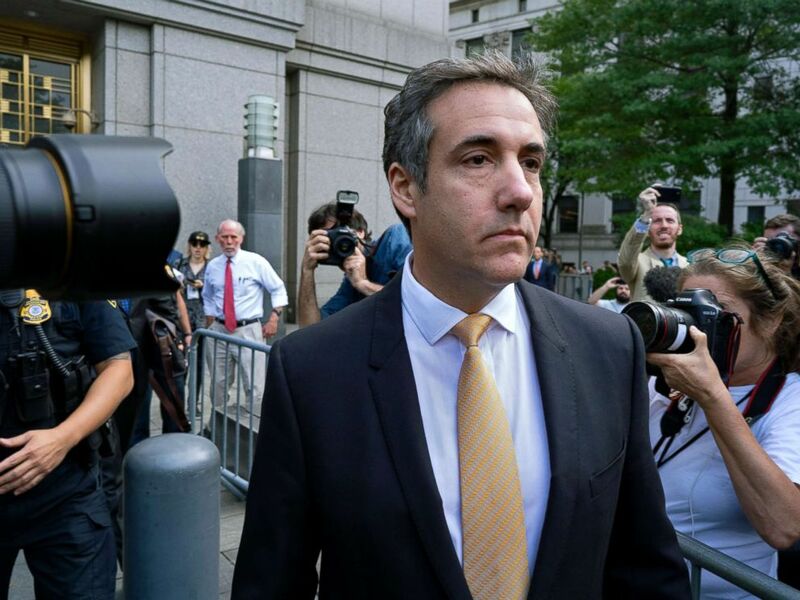 Cohen pleaded guilty in August to six felonies associated with his personal business dealings - including tax evasion and making false statements to a bank – and two felony campaign finance violations in connection with his role in arranging non-disclosure agreements during the campaign with two women who had claimed past affairs with Trump. Cohen remains free on bond in advance of a sentencing hearing scheduled for Dec. 12.